As if our new site launch wasn’t big enough, you can also follow us along in the social media world! We’re taking more time to share, talk and engage with those interested in what we do. 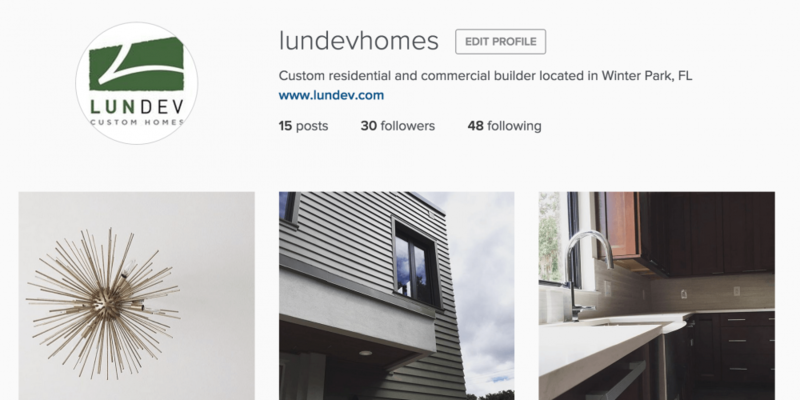 Boards upon boards of LunDev homes, trends and inspiration. We have boards dedicated to decorating and design for every room of your house and for every season. Get ready to get lost – happy pinning! The place to find updates to listings, open house events and other exciting local news. We’d also like to be more active in the Winter Park community so let us know of any events or potential sponsorships. We’re small but we’re present and we’d love to connect with potential realtors, vendors and industry personnel.